Hailing from Melbourne, Australia, the five women of Beaches have graced the Australian music scene and beyond with their epic, sprawling psych-rock since 2007. Beaches have toured extensively around Australia and the US, garnering an avid following for their trancelike, sonic overdrive live shows and glowing critical acclaim for their recordings. The album reflected a shared musical love for 60s pop to 70s psychedelia, shoe-gaze to prog, southern boogie to krautrock. Yet Beaches transcend their influences to create something wholly new. They have spent most of 2016 working on their third album Second Of Spring, an ambitious double album set to be released by Chapter in September 2017. The album was recorded with John Lee (Totally Mild, Lost Animal) at Phaedra Studios. Beaches are Antonia Sellbach on guitar and vocals, Alison Bolger on guitar and vocals, Ali McCann on guitar and vocals, Gill Tucker on bass and vocals and Karla Way on drums and vocals. 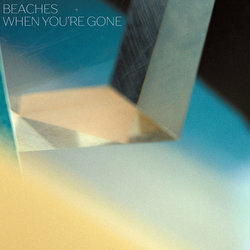 Key album track from epic new double album Second Of Spring by iconic Melbourne psych rock band Beaches.